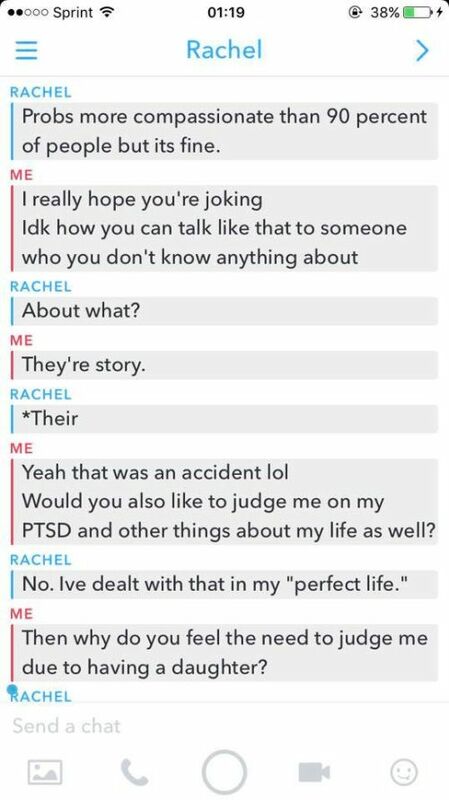 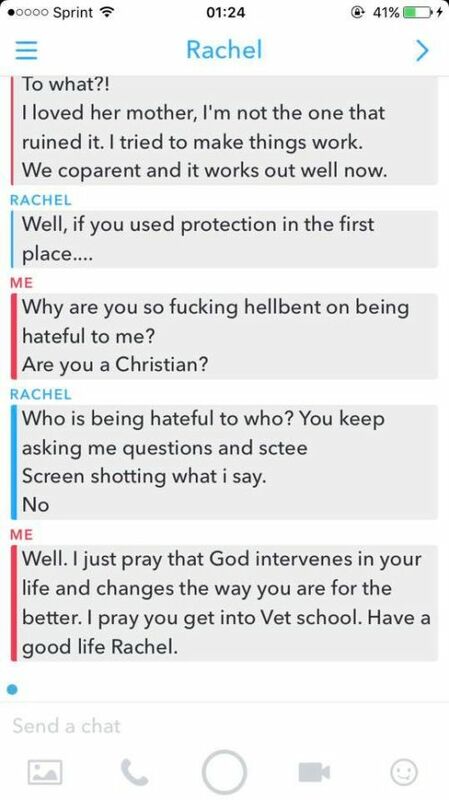 This girl got put in her place after she tried to shame a veteran. 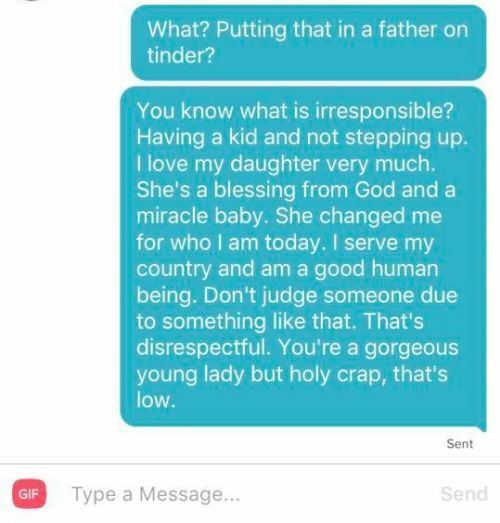 Aeention seeking guy who lost the girl he loves fails at tinder. 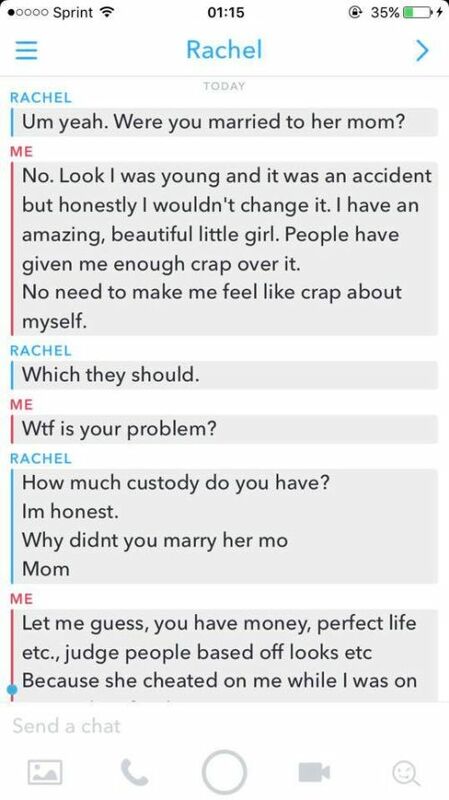 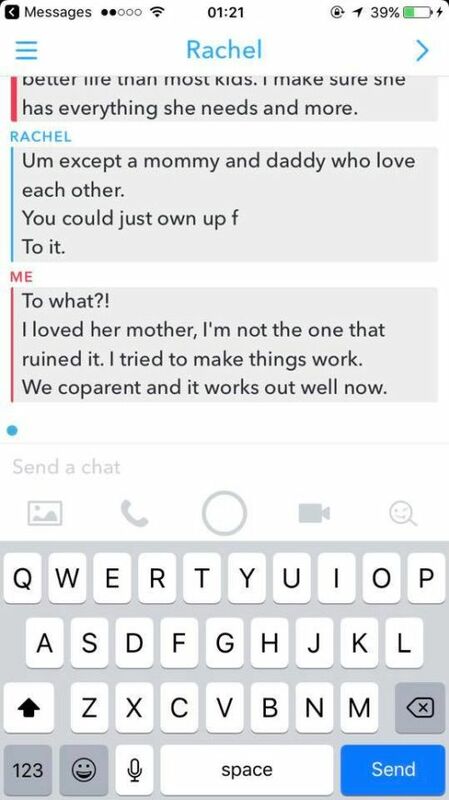 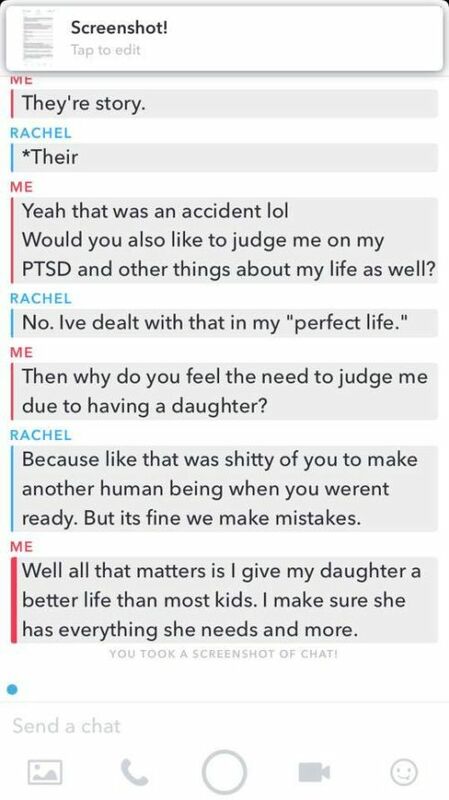 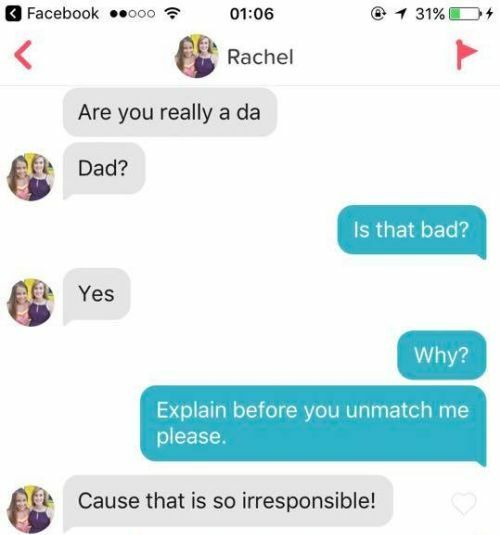 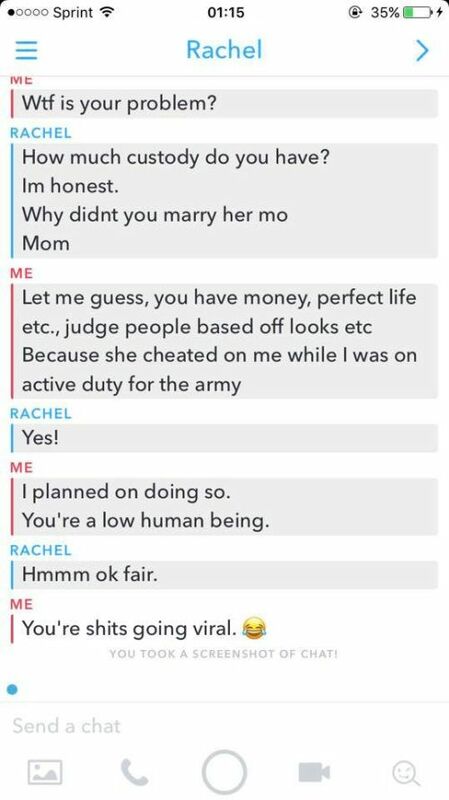 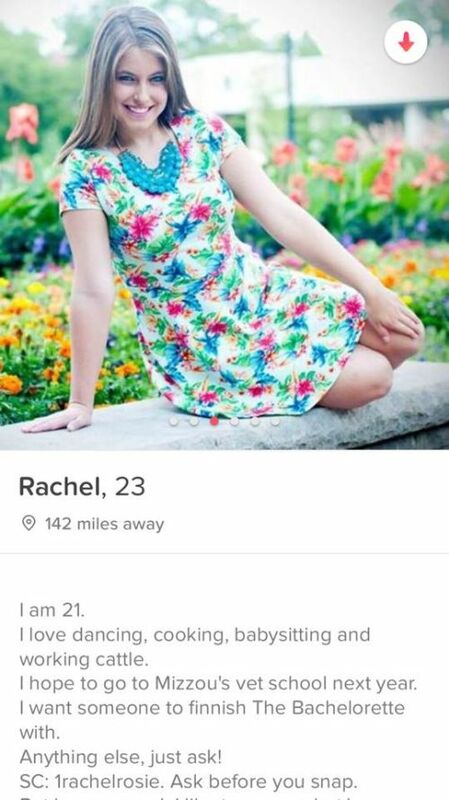 been through war and raising a kid, but lets some bimbo get under his skin.... maybe stay off tinder and continue with the therapy.